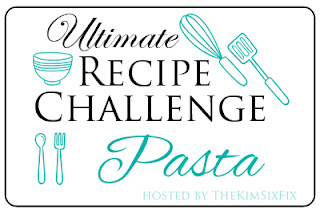 It is time for another Ultimate Recipe Challenge. This month, the challenge ingredient was STRAWBERRIES. My entry into this month’s challenge are these darling heart shaped Strawberry Hand Pies. This is just one of 25+ awesome strawberry recipes, and you can find the rest at the end of this post! A sweet yet tart summer treat made with fresh strawberries. Using a pre-made pie crust makes this recipe quick and easy to make. Brush edge of pastry with beaten egg, add upper crust and seal with tines of a fork. There really are only a few ingredients to create this summer treat. Sugar, strawberries and a little thickener for the filling, and a frozen pie crust. That is pretty much it. First you want to put together the berries, sugar, vanilla and corn starch and set it aside. Then roll out the frozen pie crust and cut it out with a heart or round cutter. I love the little scalloped edge on my cutter. Next add a few tablespoons of strawberry filling to each round Trust the edges with the beaten egg and add another cut out round/heart. Seal the edges with a fork and cut a few slits in the top to allow the steam to escape. Sprinkle with sugar and bake for 20-25 minutes. They will come out puffy and golden brown: The filling shouldn’t be overly sweet, and the whole berries hold their texture.